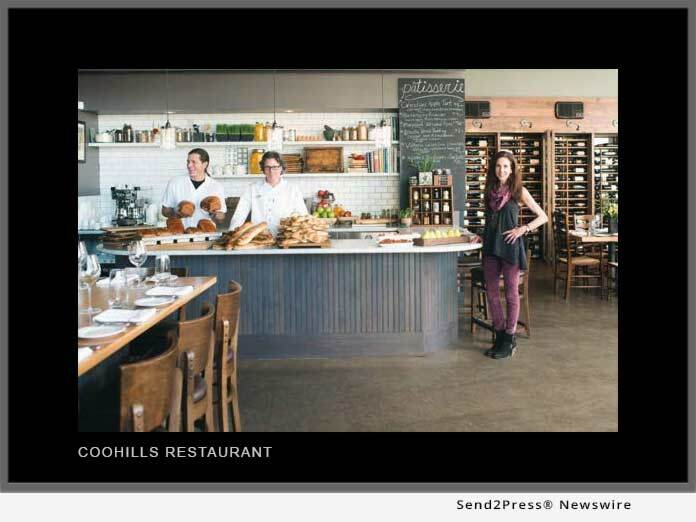 DENVER, Colo., Feb 20, 2019 (SEND2PRESS NEWSWIRE) -- Denver Sister Cities International announces that Denver's most food-savvy Francophiles will convene on March 4, 2019, at the French-inspired Coohills restaurant, a slow food-friendly eatery in LoDo, for a six-course meal with French wine pairings to honor the relationship of Brest, France, and its sister city, Denver. This momentous occasion is a collaboration between two top chefs from each city: Denver's award-winning Chef Tom Coohill and Brest's Michelin-starred Chef Nicolas Conraux of La Butte Restaurant (https://labutte.fr/home/). The menu coalesces flavors from the Rocky Mountains and the Brittany coast. The cost is $85 plus tax and service fee; reservations are highly recommended. A percentage of the proceeds from the dinner will benefit the Brest Committee of Denver Sister Cities International. "I'm honored to offer my restaurant as a cultural conduit for Denver and Brest. The palate is the best way to build bridges, and our two cities have a special relationship that deserves an equally inspiring evening of dining," said Chef Tom Coohill. Denver Sister Cities International, a local nonprofit, is the organizing institution, through its Denver-Brest Committee. The organization bolsters citizen diplomacy through business, cultural, and educational partnerships. This event was conceived in the spirit of former President Eisenhower's vision of the Sister Cities International program and is intended to carry on this legacy through gastronomic-inspired diplomacy. These two cities' relationship began when Brest rescued 19 of Denver's downed pilots during WWII. The City of Denver reciprocated when its schoolchildren fundraised to build a Children's Medical Center to support the French town's war-torn infrastructure. The relationship has continually evolved into a rich variety of ongoing cultural, business and educational programs, including the creation of a Sister Cities Beer between Renegade Brewery in Denver and Brasserie du Baril in Brest. Date + Time: March 4, 2019, 5 p.m. MST. Event Location: 1400 Wewatta St., Denver, CO 80202. The cost is $85 plus tax and service fee; reservations are highly recommended. Prior to the dinner, an Economic Development delegation from Brest will be touring Denver in the morning with City officials, companies, and cultural representatives to meet their counterparts, and they will enjoy a welcoming luncheon with President Eisenhower's great-grandson, keynote speaker Merrill Eisenhower. A park dedication ceremony will take place at the City of Brest park, located on Colorado Boulevard, following the luncheon. There also will be a student exchange of 12 high school students from Brest, France, visiting Denver at the same time. We are passionate, peace-stirring citizens infatuated with the idea of global friendships. We create exchanges that create community impact and kindle lifelong friendships. President Eisenhower introduced the idea in 1956 in the wake of WWII to support "citizen diplomacy," due in part to the success of the Denver-Brest Sisterhood: https://www.denversistercities.org/. Eisenhower envisioned an organization that could be the hub of peace and prosperity by creating bonds between people from different cities around the world. By forming these relationships, President Eisenhower reasoned that people of different cultures could celebrate and appreciate their differences and build partnerships that would lessen the chance of new conflicts. With a focus on local, regional, and farm-fresh ingredients, Coohills Restaurant and Bar - operated by seasoned restaurateurs and husband-and-wife team Chef Tom and Diane Coohill - is reminiscent of what you might find in bars and restaurants in Europe. The open kitchen and uniquely modern interior design by award-winning architects Semple Brown underscores Coohills style. Located in the hip Lower Downtown (LoDo) Denver neighborhood, we invite you to tuck in at your own intimate table for two or more, or enjoy our outdoor terrace for a spirited drink at Denver's only restaurant located along Cherry Creek, which offers nightly views of the sunset over the mountains through their floor-to-ceiling windows.